Looking for fencing to go with your pedestrian gate? Shop now. Our high quality, temporary mesh pedestrian gates are designed and manufactured to the same high standards as our temporary fencing panels. The frame is manufactured using 38mm steel tubing. The latch post allows a safe and secure structure for padlocking your site when not in use. The gate is manufactured with an anti-climb mesh. They are fully tested with up to 500kg of force. This is to ensure that it is structurally sturdy to cope with the demands of a building site or for your event location. Sliding latch to secure door shut to prevent unwanted visitors into your secure location. 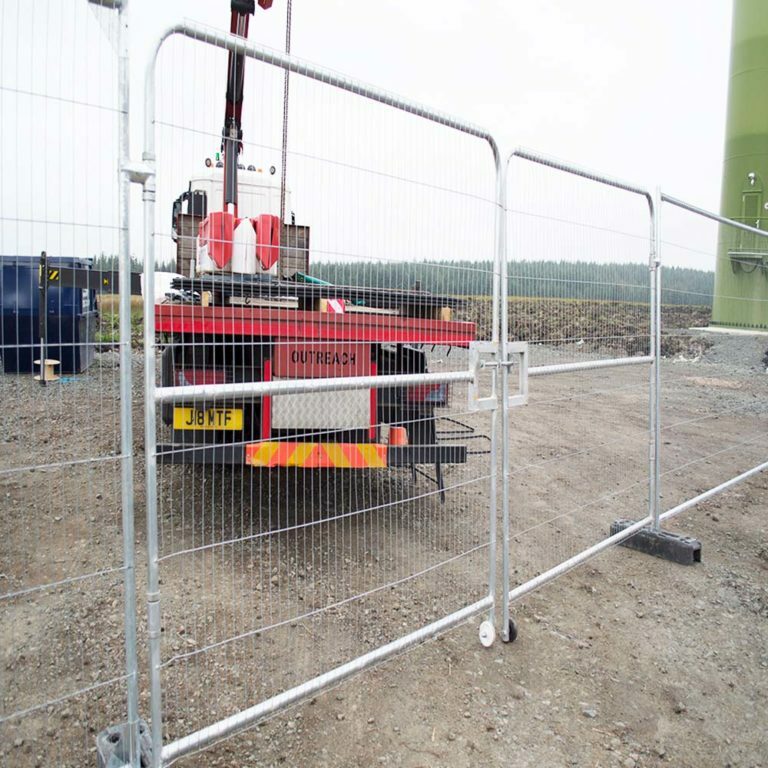 These gates can be used with both standard temporary mesh fencing panels and standard steel hoarding panels. They are easily connected to existing fence lines using standard fence clips / fencing couplers. 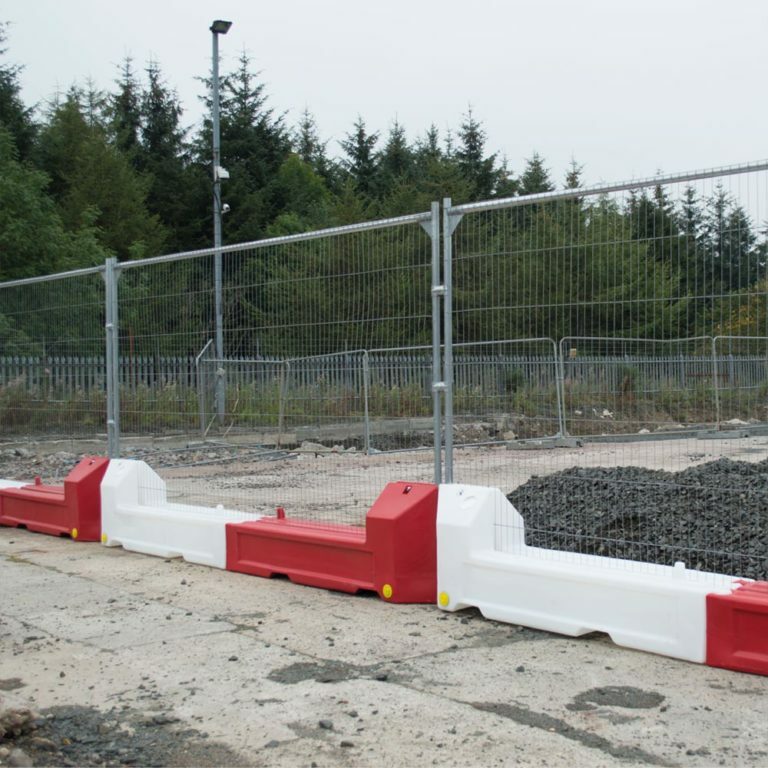 Pedestrian gates are an inexpensive solution to control access to your construction site. 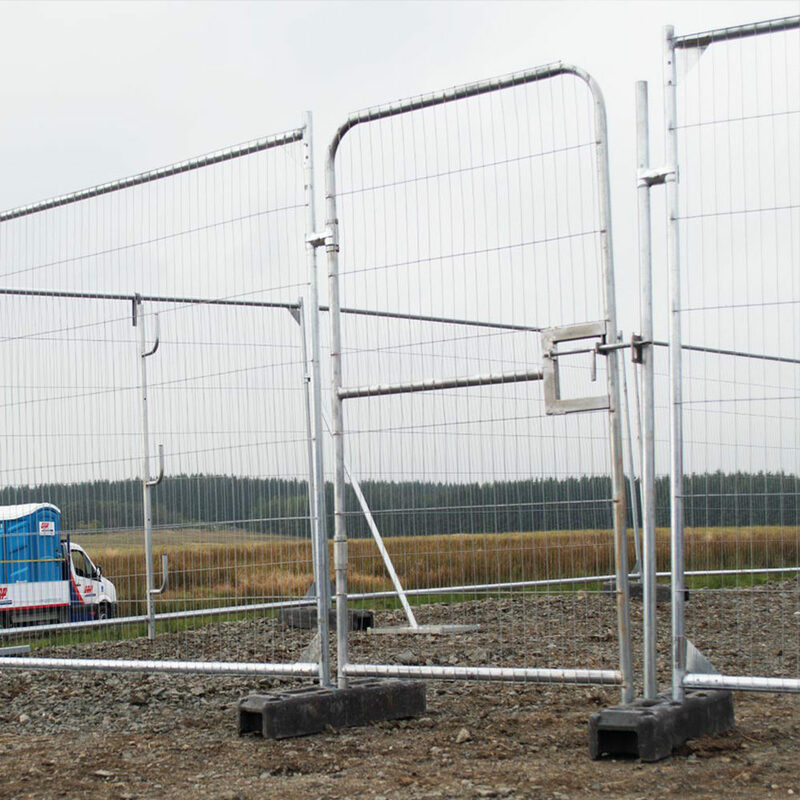 These gates are strong yet lightweight and so are the perfect solution to prevent damage to your temporary fencing panels that may become damaged by continuous moving to allow entry/exit from your site location. The gates have a castor wheel fitted. There’s also sleeves on the upright tubes to allow a smooth operation with minimum effort to control site movement. We also sell temporary vehicle hates which are perfect for your construction site or event venue -allowing you complete control and safety of both pedestrian and vehicle movement. Buy square top fencing panels and/or round top fence panels.